The Friends of the Scottsdale Public Library is excited to be supporting a $1 million capital campaign for the Scottsdale Heritage Connection, which officially launches on May 10. The new permanent exhibition, which is scheduled to open in spring 2019, will celebrate the history of Scottsdale through photographs and images, phone books, year books and other media, and interviews with Scottsdale residents. The space will encompass 2,300 square feet in the Civic Center Library as well as kiosks in each of the other Scottsdale Library branches. The Friends will be the official 501(c)(3) partner of this campaign, ensuring that all donations are tax deductible. The Friends also made the first donation to the campaign of $5,000. The campaign is being headed by Carol Damaso, former Director of the Scottsdale Public Library. The Friends’ previous capital campaigns include raising $500,000 in funding for Knowasis: The Thunderbirds Charities Teen Learning Center, allowing teenagers an activity space in the Civic Center Library branch. Here is a brochure to learn more about the Scottsdale Heritage Connection, and if you’d like to donate, please visit our Scottsdale Heritage Connection page. This entry was posted in External News and tagged fundraiser, heritageconnection, knowasis on May 5, 2017 by Trey Granger. 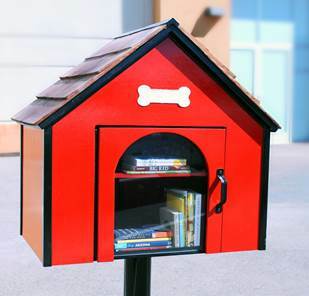 The newest way to access books in the City of Scottsdale will become a reality next month, as the first Books2Go structure will be unveiled April 11 at 11am at Chaparral Dog Park. Books2Go micro-libraries will be installed in City of Scottsdale parks and other convenient locations to provide a “take one, leave one” opportunity for those seeking books to read. The first installation will take the shape of a dog house to reflect its location in the dog park. Each Books2Go installation is being designed by Jim Nance as part of the Library’s partnership with Intel and Experience Matters. The Friends of the Scottsdale Public Library provided funding for the construction and supplies of the Books2Go structures, while the initial books were funded through a donation by the Scottsdale Area Association of Realtors. The project is a collaboration between the Library, the Scottsdale Parks Department and the Scottsdale Facilities Department. Please join us on April 11 for a ribbon cutting ceremony at Chaparral Dog Park, and stay tuned for more Books2Go installations in 2017 currently planned at Mountain View Park and Indian School Park. This entry was posted in External News and tagged books2go on March 2, 2017 by Trey Granger. The Friends of the Scottsdale Public Library helped make four key Library programs a reality by facilitating four fellowships through the Experience Matters program. Each of the Fellows will work on special Library programming through financial support of Intel. Since 2011, Intel has placed and funded 60 former employees yearly in positions with non-profit groups that may utilize their experience in fields like engineering and project management. Justin Bingham will serve as Project Developer for Story Stroll. Story Stroll is an opportunity for families to read a children’s book, page by page, as they walk through parks and other outdoor areas. This is a year-long fellowship. Arnie Dominguez will serve as Project Developer for the Ultimate Play Date. This annual event in March brings together children ages 0-8 to experience learning at different Play Zones like adventure, music & dance and science & technology. The 2017 Ultimate Play Date will take place March 4. This is a six-month fellowship. Jim Nance will serve as Builder for the Books2Go Program. Books2Go is a series of micro-libraries in City of Scottsdale parks filled with free books for the public in a “take one, leave one” style system. This is a year-long fellowship. Jim Willittes will serve as Coordinator for the STEAM Program. Short for science, technology, engineering, art and math, the STEAM Program will be a series of events designed to educate children in these important fields. This is a year-long fellowship. FSPL coordinated all the paperwork for these fellowships and is serving as the operations agency on behalf of the Library. This entry was posted in External News and tagged books2go, experiencematters, fellows, intel, steam, storystroll, ultimateplaydate on October 15, 2016 by Trey Granger. In TechInsider’s recent ranking of the most beautiful library in all 50 states, Scottsdale’s Arabian Library was ranked #1 in Arizona. According to the article, criteria for the judging was awards by the American Institute of Architects and the American Library Association awards. Arabian won the 2009 Library Building Award from these organizations. The Arabian branch originally opened in September 2007, and among its features is LEED® Silver Certification by the U.S. Green Building Council. Designed by Phoenix-based Richärd + Bauer, its signature look includes bronze-colored steel and giant windows to optimize natural light. 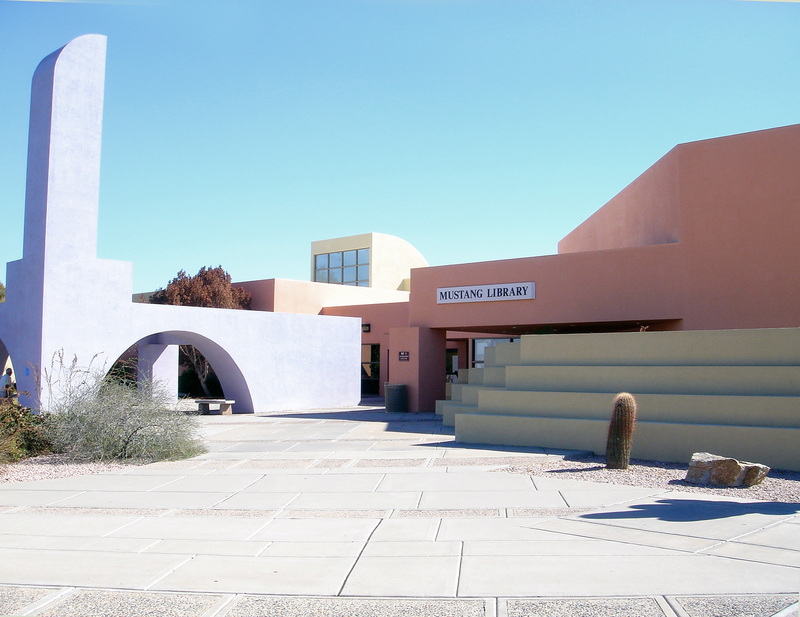 If you haven’t visited Arabian Library recently, come check out the most beautiful library in Arizona. This entry was posted in External News and tagged arabian on July 30, 2016 by Trey Granger.